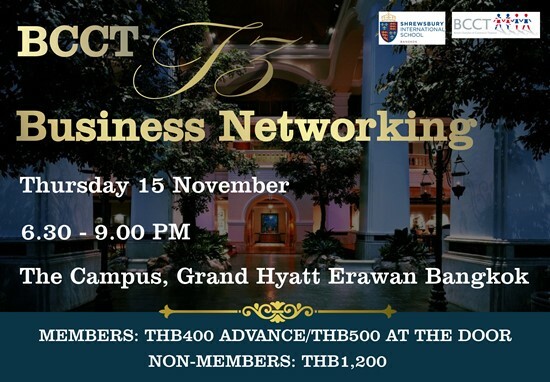 THE LAST T3 OF 2018 this month we are going to the Grand Hyatt Erawan. Join us for a great food & drinks at a contemporary and dynamic setting inspired by the nostalgia of University living. Bring your colleagues along. Great opportunity to meet and network! Price includes food and a free flow of soft drinks, beer and wine. BCCT e-vouchers are accepted. Please state "e-voucher" in the online booking additional info box.